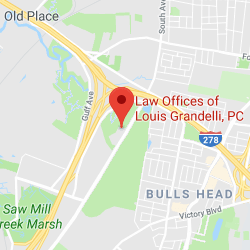 New York Brain Injury Lawyers | Law Offices of Louis Grandelli, P.C. 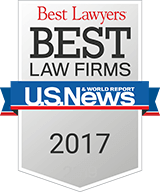 Our New York brain injury lawyers have extensive experience with TBI and other brain-related injuries. When the brain is injured, the results are often catastrophic and permanent. Every year 2.4 million people in the United States suffer a traumatic brain injury (TBI) and every day 138 people die as a result of a TBI according to the Centers for Disease Control and Injury Prevention. Indeed, TBIs contribute to the deaths of more than 50,000 people per year. In cases where the victim survives, the family can be confronted with the life-altering consequences resulting from such a devastating injury. When these injuries result from negligence of someone else, it is critical that you choose New York brain injury lawyers that have extensive experience in dealing with these catastrophic injuries to insure a full recovery. 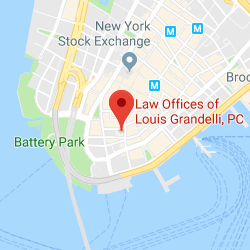 Whether the injury occurred as a result of a New York car accident, motorcycle collision, truck crash, mass transit accident, construction accident, slip/trip and fall, or any other type of negligence, our attorneys have the knowledge and resources to help clients get the results they deserve. Severe brain injuries are rarely cured and the treatment can be long, complex, and expensive. Therefore, knowing which experts to hire, what damages to seek, and determining the right legal strategy requires legal counsel with extensive experience in order to receive full compensation for severe injuries to the brain. Our New York brain injury lawyers have successfully litigated cases on behalf of clients whose claims included head, or brain injuries, and achieved substantial recoveries including: $16 Million (damages verdict), $3.5 Million, $1.75 Million, $1.3 Million, $1.0 Million, $800,000 and$580,000. A TBI can occur when there is a bump or blow to the head, or when the head is penetrated. In the United States, the three leading causes of TBIs are falls, unintentional blunt trauma (e.g. being hit in the head by an object) and motor vehicle accidents. Incidents at construction sites where a worker falls from a scaffold or ladder often results in a TBI where the worker’s head hits the ground or another object. Similarly, construction site accidents where an object falls from above and hits a construction worker in the head can cause a TBI. Medical studies demonstrate that the exact nature of the results of a TBI depend not just on the severity of the hit to the head, but also on what part of the brain was affected. Indeed, injuries to the left side of the brain tend to cause difﬁculties with language, depression, verbal memory, logic, sequencing, and control over the right-side of the body. While injuries to the right side of the brain tend to cause visual-spacial impairment, visual memory deﬁcits, altered creativity, loss of “big picture” type thinking, and decreased control over the left-side of the body. Where the injury is to both sides of the brain it tends to cause cognitive deﬁcits, confusion, reduced attention and concentration and fatigue. The most common TBI is what is usually referred to as a concussion and the results are often mild and temporary, while the most severe TBIs can result in coma or death. TBIs can also cause epilepsy and increase the risk for brain disorders such Alzheimer’s and Parkinson’s disease. Therefore, it is essential that if you have sustained trauma to you hear that you let your doctor know of any issues you have developed with sleeping, focusing, dizziness, mood changes, memory, headaches, nausea or vision as these all may be signs of a TBI. In TBI cases, there often are a number of experts that need to be hired in order to insure all the needs of the victim and their family are covered by any settlement or verdict. A severe TBI will likely require the hiring of an expert life care planner to evaluate the future needs for the victim’s medical care, medical supplies, medications, and other costs associated with future care. In some cases, round-the-clock care may be a necessity, making it all the more important to hire the right life care expert to assess what the future costs may be. Once a life care expert has evaluated the future needs of a severely injured victim of a brain injury, an expert economist can be hired to evaluate the inﬂationary impact on the costs of future medical care, as they are certain to rise over the years. 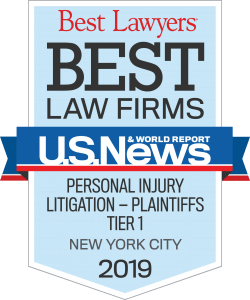 Our New York brain injury lawyers understand the need to provide ﬁnancial security for our clients and their loved ones as they deal with the impact of claims which include traumatic brain injuries. If you or a loved one are interested in legal assistance, please don’t hesitate to call us for a free legal consultation.